Our bodies are designed to move. Our ancestors were nomads, hunters and gatherers, farmers, pioneers, and explorers. They rarely sat and were physically active most of the day. Now thanks to modern technology we don’t have to work as physically hard as our ancestors. As nice as this may be, our current lifestyles may actually be killing us. It’s estimated that the majority of us spend at least 60% of the day, if not more, sitting which is having serious impacts not only on our health but on the structure of our bodies. A new term “actively sedentary” has been developed for those that spend the majority of their day sitting but still get in some type of moderate to vigorous exercise daily. Some studies are showing that 30-60 minutes of activity isn’t enough to counteract the rest of the days sedentary behavior, and the side effects (of that sedentary behavior) could be equivalent to smoking cigarettes. Don’t go quitting your gym membership just yet though, as some other studies say 60-75 minutes of intense physical activity most days of the week is enough to offset our behavior. Much more research is needed, but we can all agree that moving more only helps us. By now, we are all well aware that sedentary lifestyle and poor diet can lead to increased risk of diabetes, heart disease, cancer, high blood pressure, high cholesterol, and obesity among other things. What else is happening to our bodies when we are sedentary or even “actively sedentary”? Chest: Because we often slouch forward, hunching our shoulders and caving in our chest, our pectoral muscles get tight. This affects the muscles in our back that oppose our pectoral muscles causing them to stretch and weaken and our pectoral muscles to tighten. 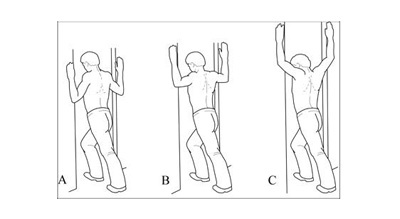 Over time, the back muscles ( Posterior Deltoids, Trapezius, and Rhomboid muscles) that pull our shoulders back allowing us to have good posture are no longer efficient, leading to “round shoulders” and “hunch back” look. Neck/Back: Holding your head and neck forward strains your cervical vertebrae stretching spinal ligaments and causing bulging of your discs. It can also cause headaches, jaw pain and nerve impingement which can cause radiating pain down one or both arms. Hips: Your hip flexors (iliopsoas muscles) get tightened and shorten with prolonged sitting. These muscles are responsible for lower back stabilization. When tightened they cause your pelvis to tilt anteriorly pulling on your lower back and could be causing your lower back pain and any radiating pain down one or both legs. Glutes: Sitting causes your glutes to become inactive, weakening them over time. Your glutes are a power house responsible for the movement of the hip and thigh and stabilization of the knee. Without their strength, other muscle groups try to compensate for the loss and are overused causing you to move less efficiently which leads to injury. Core: Because abdominal muscles engage less when sitting than standing, there is increased pressure on your lower back. The less engaged your abdominal muscles are, the weaker they become putting more strain on other muscle groups (aka lower back) to stabilize. 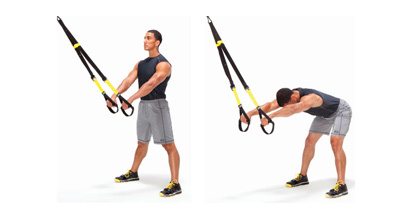 This can lead to poor lifting mechanics and further joint issues if not addressed. Our bodies are pretty amazing. They are smart enough to adapt to imbalances that we create. Our body is constantly trying to make things easier and more efficient. Unfortunately, this amazing adaptability isn’t always best mechanically and physiologically which can be a detriment long term. One small imbalance in our bodies can have a chain reaction on the alignment and functionality of the rest of our bodies. Heart: In a sedentary state, there is less need for blood and oxygen to be pumped through the body, so your blood flow is slower allowing more time for fatty acids to build up and clog your arteries. Pancreas: Sedentary behavior affects your body’s response to insulin in as little as one day. The pancreas releases higher levels of insulin causing elevated resting blood glucose levels and ultimately leads to diabetes. Digestion: Sitting after eating compresses our digestive organs, slowing the rate of digestion, which can lead to cramping, bloating, heartburn, constipation, and gut microbial imbalances. Brain: Because you are getting less fresh blood and oxygen to the brain during sedentary behavior, your brain function slows decreasing the release of brain and mood enhancing chemicals. This causes us to feel more sluggish, decreases our focus and concentration, and affects our mood. If you already workout, great! Keep it up. Don’t think that your workout is wasted if you are sedentary the rest of the day. You are still receiving more benefits than if you were to do nothing. With some small changes in your daily routine, you can make a huge difference in your sedentary behavior. Arrange your office so you have to get up to get something off the printer, fill your water, answer your phone, throw something out, etc. The more times you get up and move around the better. Schedule a 10 min break from sitting every hour. If possible, use an adjustable desk so you can stand for a bit while you work. Set alarm or wear activity watch such as Fitbit, that will remind you to move. Adjust your workstation to be as ergonomic as possible. You’re tired from working all day but moving around will actually give you more energy! Cook at home. While prepping your meals, you’ll be standing and moving your body. Get up and move during commercials while watching TV. go for a walk, hike, bike ride, play in the yard or park, swim, dance, ski, etc. For best results do each stretch 2-3 times a day. Hold each stretch for 30seconds, release then repeat each stretch 2-3 times.